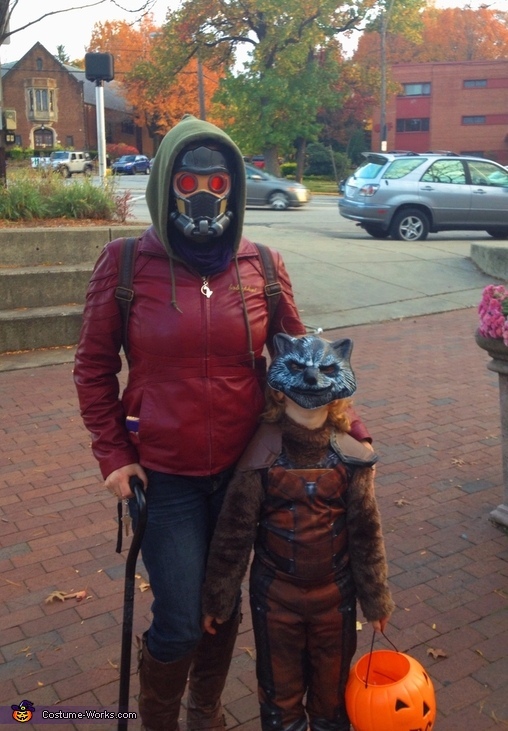 Mother and son, who are huge fans of Guardians of the Galaxy comics! The Rocket costume was easy enough to find at a costume shop, along with Star Lord's mask. A burgundy jacket and brown leather boots sealed the deal.